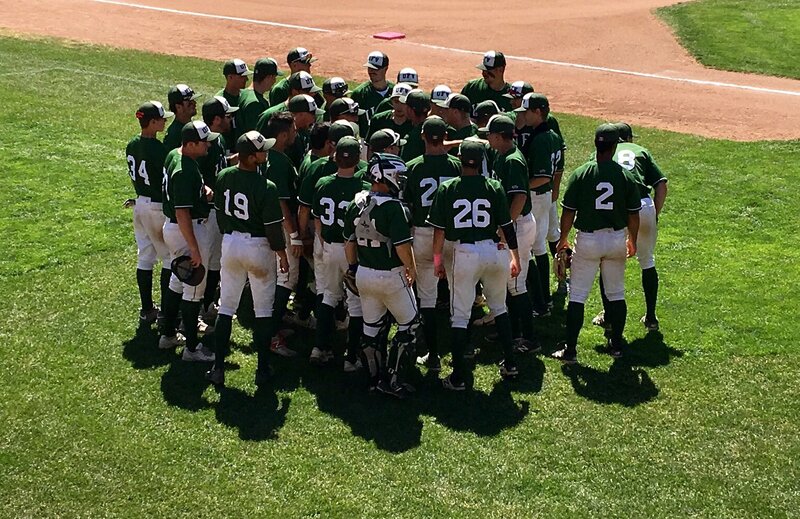 The University of the Fraser Valley baseball club wrung every last drop of drama out of its first-ever appearance in the Canadian College Baseball Conference championship game, ultimately falling 10-9 to the Okanagan College Coyotes on Sunday afternoon in Kamloops. It was a game where no lead was safe – the Cascades and Coyotes each banged out 14 hits, and took turns erasing multi-run deficits. Okanagan College took a 10-8 lead into the bottom of the ninth, but UFV got an RBI single from Riley Jepson to cut the deficit to one, and went on to load the bases with two outs. Coyotes reliever Wyatt Hummel got out of the jam, though, getting Cascades centre fielder Stephen Horner to pop up to end it. “We battled in every aspect of the game,” UFV head coach Shawn Corness marveled afterward. “We’d get up, they’d battle back, and it was just a back and forth like that battle right down to the wire. The Coyotes got on the board in the top of the second inning at Norbrock Stadium, but the Cascades took advantage of a pair of Okanagan College errors in the bottom of the third to surge ahead 4-1. The Kelowna squad responded with a two-run home run by Sean Robbins in the top of the fourth, and chased UFV starting pitcher Riley Ens during a four-run fifth to go up 7-5. The Cascades drew even in the bottom of the sixth on a sacrifice fly by Matt Legg and an RBI double from Brody Vogel. The two teams exchanged runs in the seventh inning, and the Coyotes scored twice in the top of the eighth to take a 10-8 lead into the ninth. Cascades reliever Dylan Emmons kept Okanagan College off the board in the top of the ninth, setting the stage for the top of the Cascades’ batting order. Leadoff hitter Josh Berenbaum drew a walk, and Colin Kellington blooped a single over the head of Coyotes first baseman Jake Fischer to bring Jepson to the plate. The CCBC batting champ was a problem for Okanagan College all day, and he ripped a single into right field to score Berenbaum from second. Kellington was thrown out at third on the play. After Dan Rogers struck out, Legg earned a walk in a lengthy at-bat and Vogel was hit by a pitch to load the bases for Horner with two out. But Hummel got Horner to pop out to set off the Coyotes’ celebration. Kamloops product Jepson led the Cascades’ offensive onslaught, going 5-for-6 and scoring four runs. Kellington went 3-for-6 at the dish; Rogers, Vogel and Horner had two hits apiece; and Rogers, Vogel and Ryan Green each registered two RBI for the Cascades. In the aftermath, Corness expressed deep pride in his team. The Cascades had come into the championship tournament with a modest 11-15 record in the regular season, but won all five of their round-robin games in Kamloops to earn a bye directly to the final. “We talked before we came up here about not beating ourselves and giving ourselves a chance,” Corness said. “And that’s what we did. It was a team work ethic from start to finish, and that’s all we asked of them. Even in the last game, we didn’t beat ourselves. I couldn’t be more proud of this group and the way they came together and performed this week. 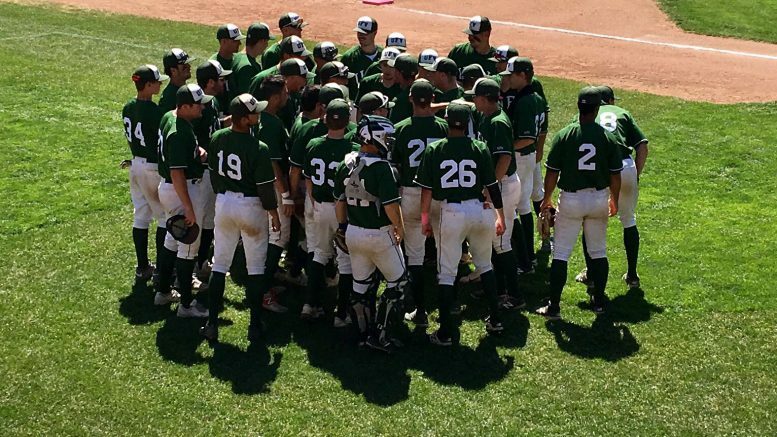 Be the first to comment on "UFV Baseball – Comeback Comes Up Short In CCBC Championship Game"